KEN YUSZKUS/Staff photo. 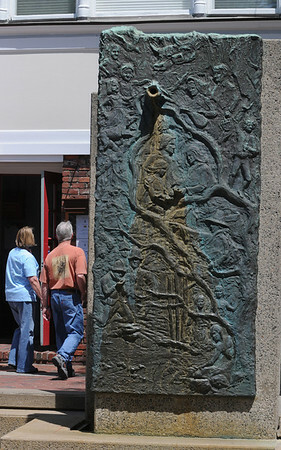 Work will begin to restore and change design of the city fountain at Townhouse Square in Salem. 6/2/14.